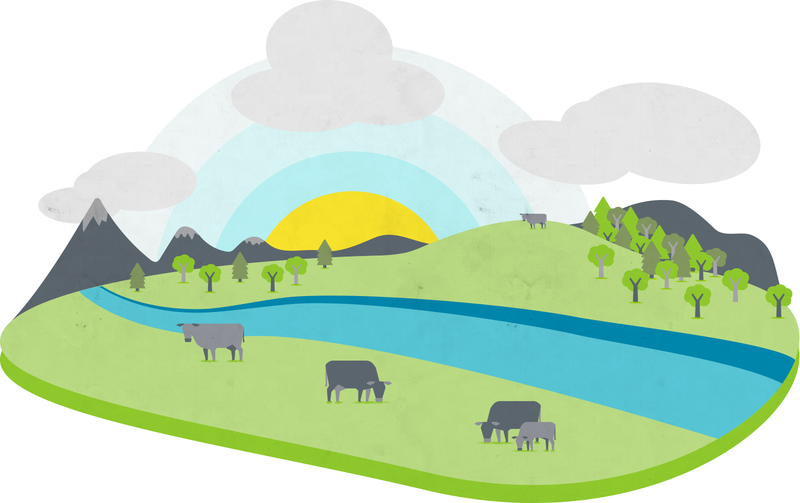 This principle is based on the concept that ecosystem processes are managed through adoption of practices designed to sustain and restore ecosystem health throughout the beef production system. Such practices enhance biodiversity and provide ecosystem services including carbon sequestration; water recharge, filtration and conservation; resource use efficiency; managing for healthy soil conditions; and contribute to resilience, including the ability of ecosystems to recover from extreme climate and weather events while supporting continued use. This principle is achieved through continuous improvement across all criteria. Compliance with all local, national and international laws applicable to natural resource usage is mandatory. Environmental stewardship objectives are attained through adaptive management, with activities monitored to achieve continuous improvement of measurable natural resource management outcomes. Practices are implemented to improve air quality. Native forests are protected from deforestation. Grasslands, other native ecosystems, and high conservation value areas are protected from land conversion and degradation. Land management practices conserve and enhance the health of ecosystems and high conservation value areas throughout all sectors of the beef value chain. Water resources (including quality and quantity attributes), are responsibly and efficiently managed to support ecological function and availability. Soil health is maintained or improved through implementation of appropriate management practices. The beef value chain contributes to the maintenance or enhancement of native plant and animal biological diversity. Where available, feed sources are sustainably-produced.